Through some of his songs, the late rapper seemingly told his listeners that he didn’t want to die young. Mac Miller, whose birth name is Malcolm James McCormick, was found dead on Friday afternoon, September 7 of a suspected drug overdose. The late rapper had long struggled with substance abuse and had been open about it whether on interviews or on his own songs. Miller was known for his relatable lyrics, which often dealt with depression and unhappiness. Even though most of his songs were about how he found it normal to be unhappy, there were times when he realized that his drug addiction would eventually led him to his demise. As family, friends and fans continue mourning the death of the rapper, let’s take a look at all the time Miller seemingly cried for help on his songs. In the song, which was featured on his mixtape “Faces”, Miller explicitly stated that he knew his drug abuse would make him die. Referencing Philip Seymour Hoffman, he spitted, “A drug habit like Philip Hoffman will probably put me in a coffin.” Hoffman died in February 2014 of combined drug intoxication. 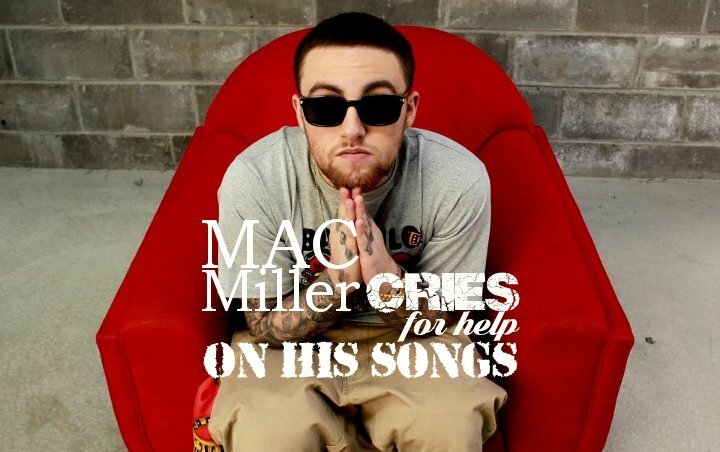 Miller previously stated that he wanted to commit suicide after writing this song. That explained why the song found him talking about the after life. “Let us have a grand finale/ The world will be just fine without me,” he rhymed.